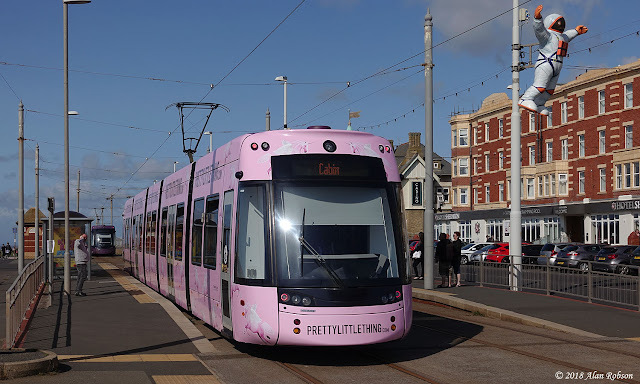 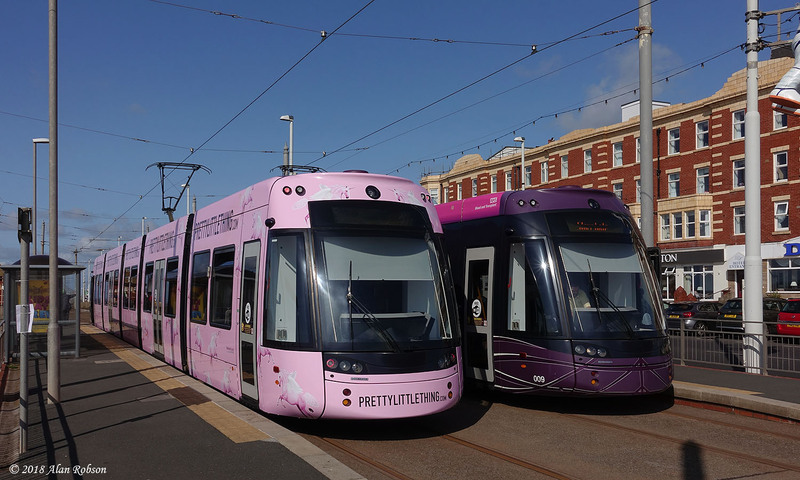 After the emergence of Flexity 016 with its new overall advert for fashion retailer PrettyLittleThing on Saturday, Flexity 003 entered service in an identical advert this week. The fact that neither tram is carrying external fleet numbers makes cursory identification rather difficult, only on closer inspection are there very subtle differences between the two trams. 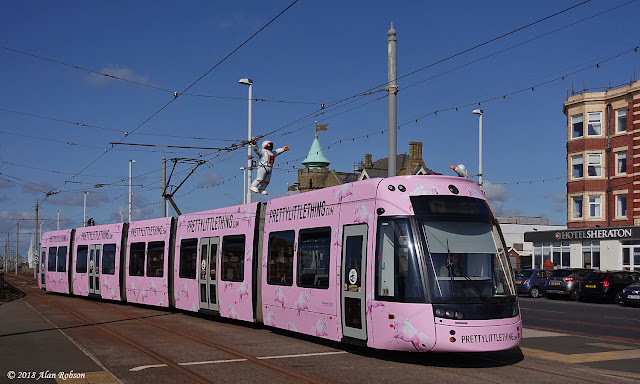 Flexity 003 is seen at the Cabin operating on the southern portion of the split tram service on 29th August, due to a traffic accident at Cavendish Road which blocked the tramway for several hours.